Experience Villa Ercolano. Book a visit today! 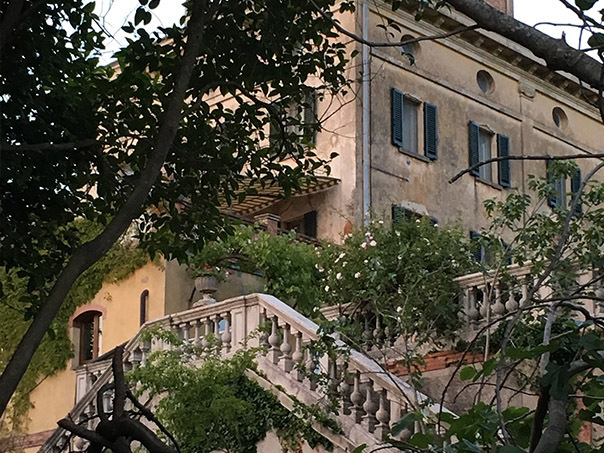 Majestically gracing the Umbrian hillside, sits beautiful Villa Ercolano. 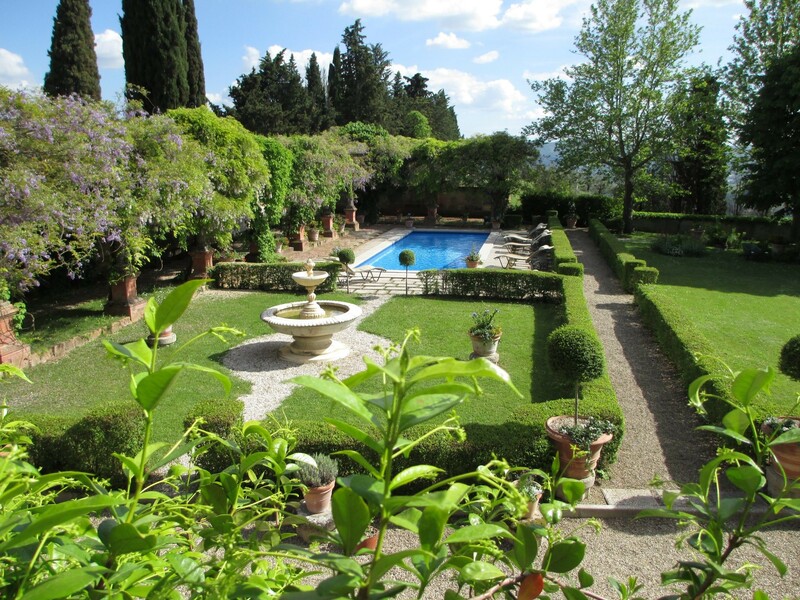 Her hilltop setting surrounds you with breathtaking 360 degree views of the Tiber Valley. Naturally rolling hills, landscaped gardens, lush vegetation, olive, cypress, pine and fruit trees all provide a tranquil visual retreat. Hand painted Ercolano frescos line the wisteria encased pergola near the swimming pool. 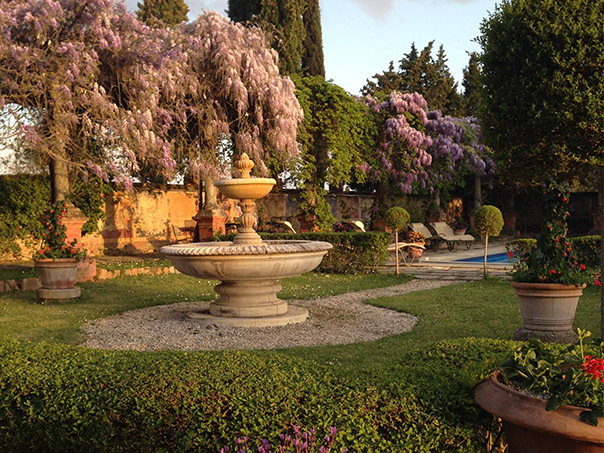 Luscious grapes grow overhead and lemon trees encase the lemonia entrance while berry bushes and roses bloom near by. 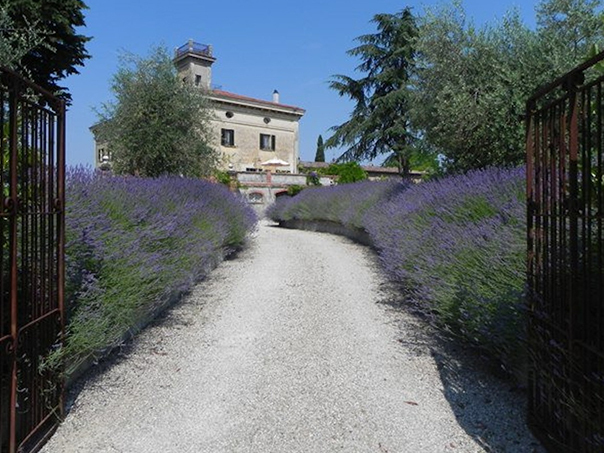 Fragrant lavender surrounds and welcomes you to Villa Ercolano as you enter the entrance gates. 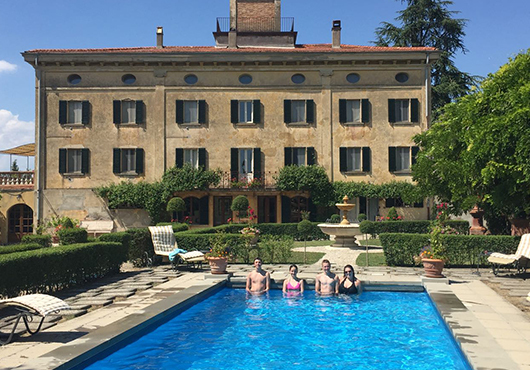 Villa Ercolano sits on five acres in the very middle of Italy. 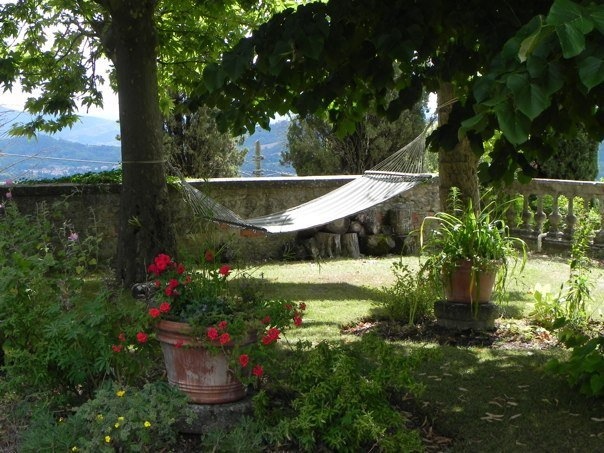 It is centrally located outside the walled in town of Citta di Castello.